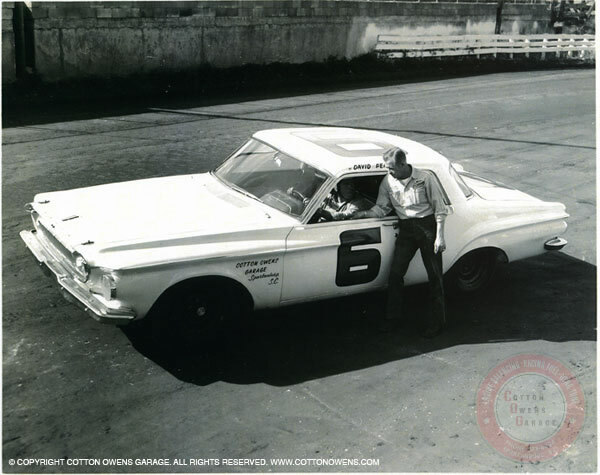 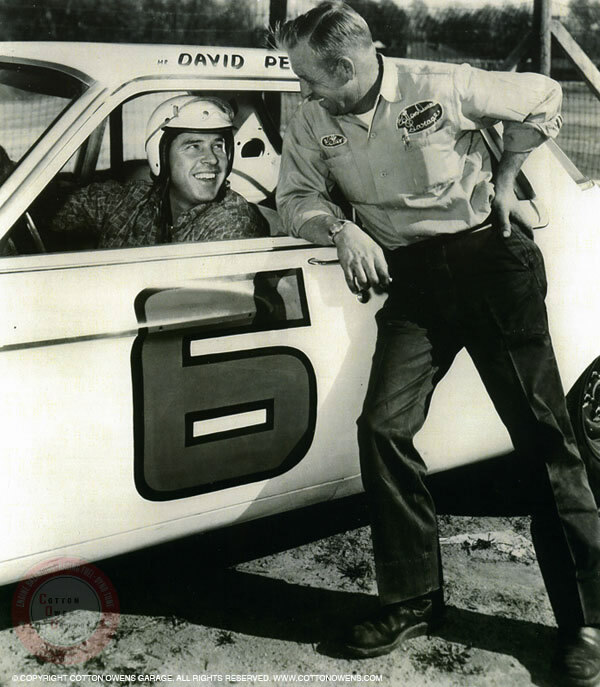 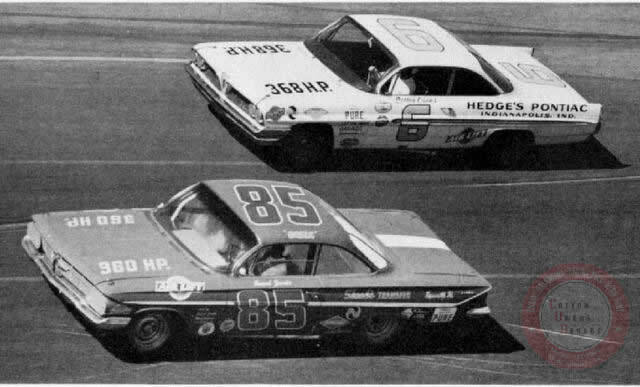 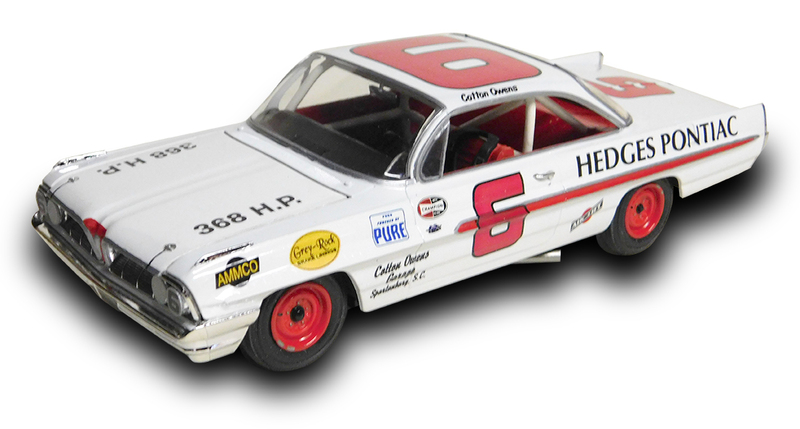 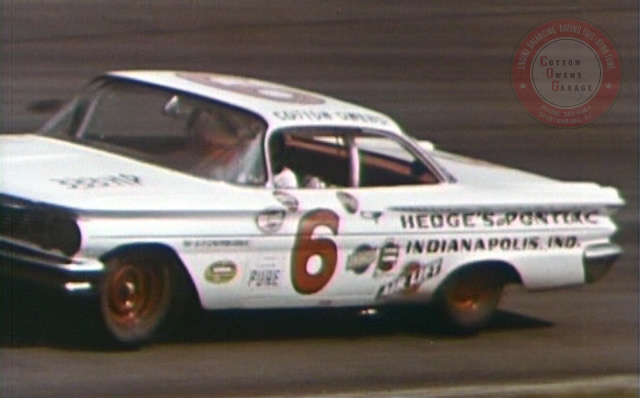 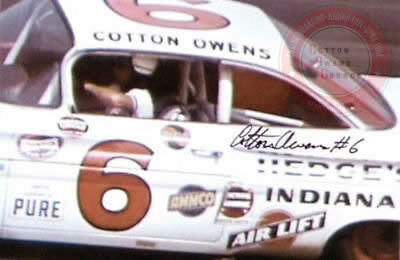 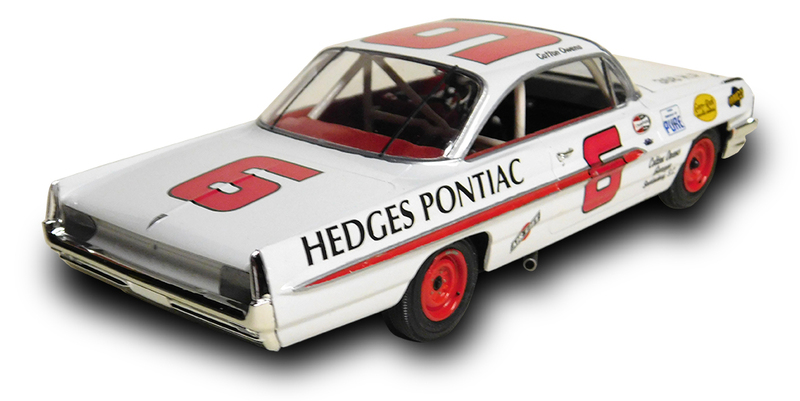 As Cotton transitioned to NASCAR's Grand National "Stock Car" division, he would cement his place among the sport's elite drivers building and driving Pontiacs wearing his now signature red and white color scheme and infamous #6. 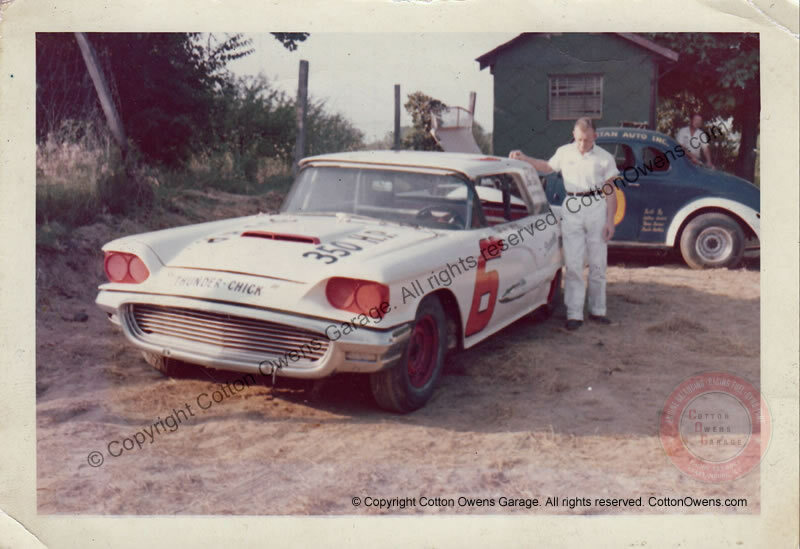 What made Owens great was not only his driving ability, but his mechanical aptitude and car preparation that made him a force to be reckoned with wherever he raced, on dirt or on pavement. 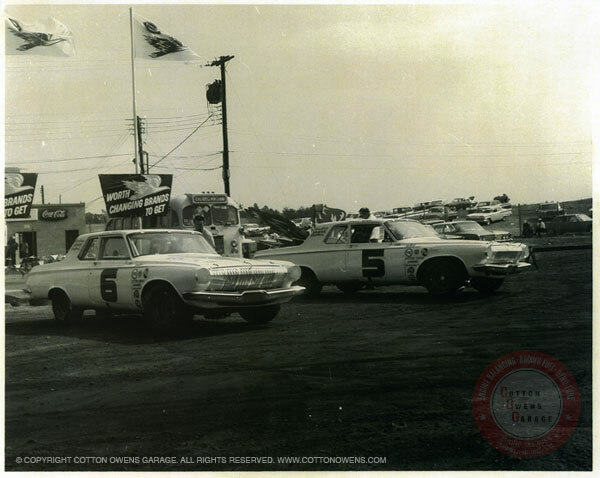 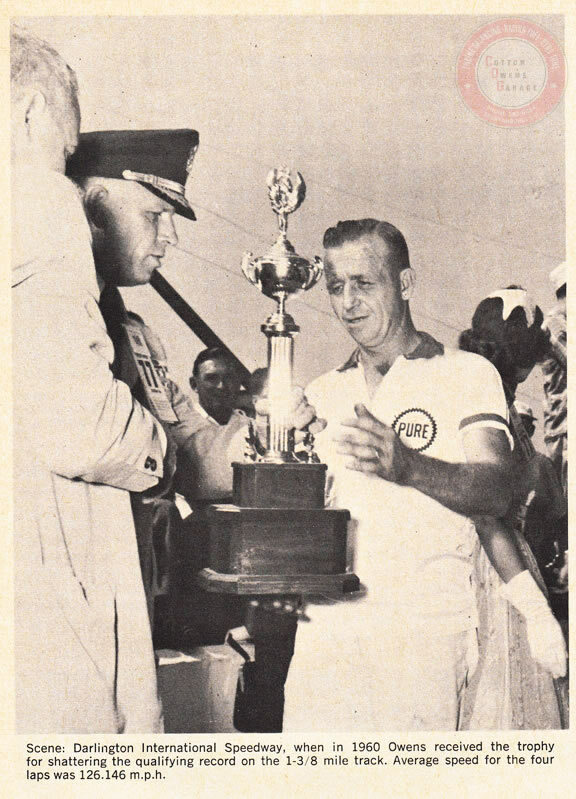 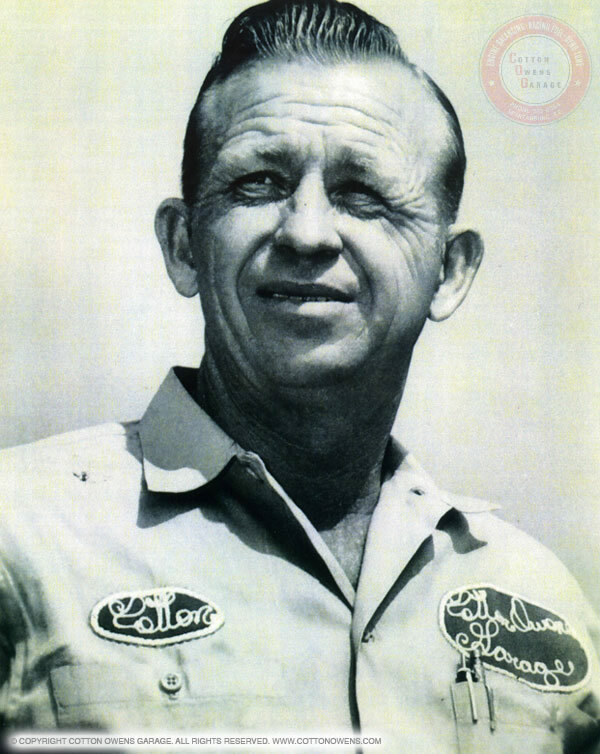 Cotton would capture 5 Grand National victories through 1960-62 as a driver, and would also put several notable drivers behind the wheel, including Bobby Johns, Ralph Earnhardt, Marvin Panch, Fireball Roberts, Junior Johnson, and fellow Spartanburger David Pearson, who was making a name for himself as an up-and-coming driver. 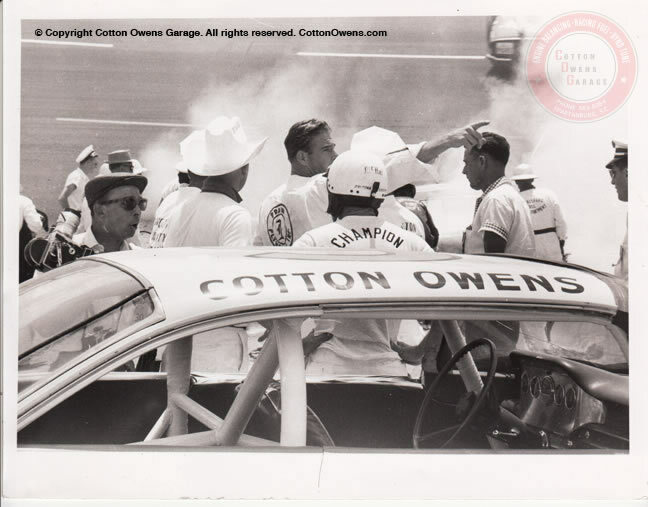 Cotton Owens Garage would earn 6 victories during these years, as well as 31 Top Fives and 38 Top Ten finishes, and 5 Pole Positions. 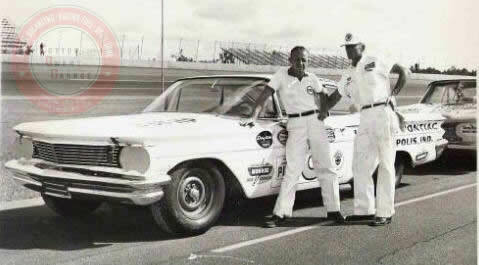 Owens would put his Pontiac on Pole for the 1960 Daytona 500 and also shatter the qualifying record at Darlington with a 126.146 mph average speed. 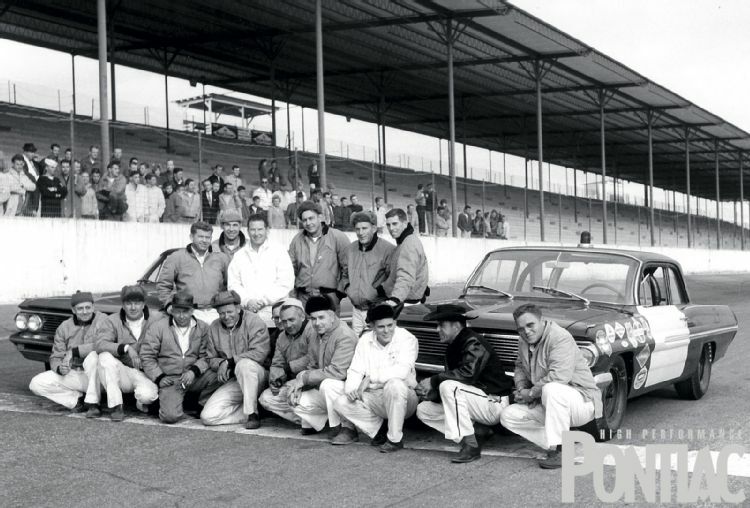 1960 Daytona 500 - Cotton Owens sits on Pole Position in #6 Pontiac. 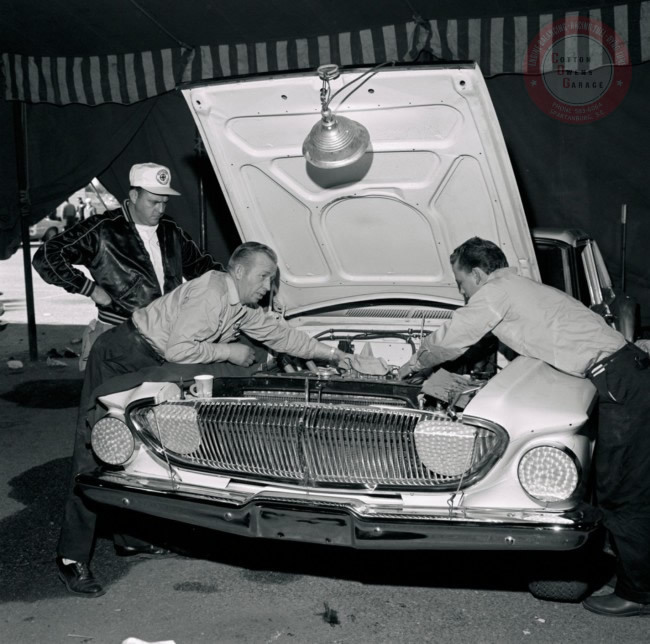 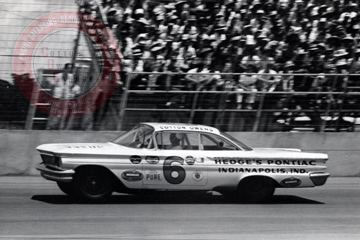 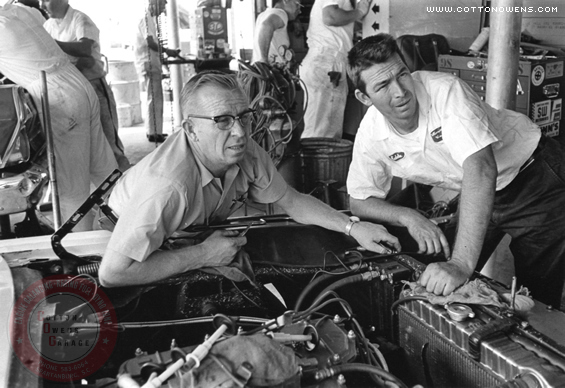 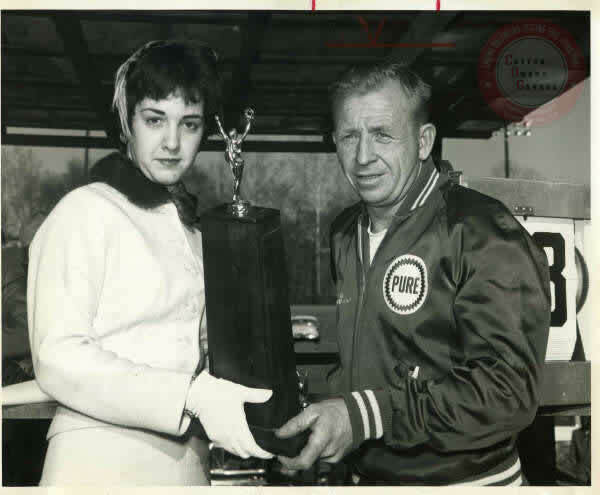 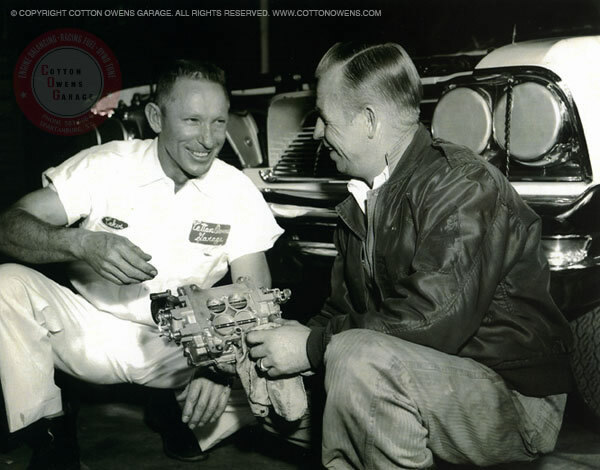 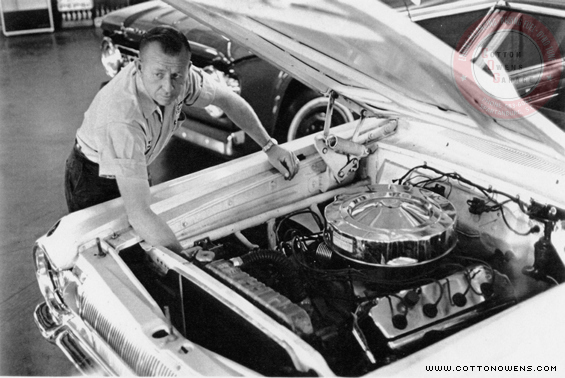 Pontiac dominated NASCAR in the early 60s thanks to the new 389 engine and car builders like Cotton Owens. 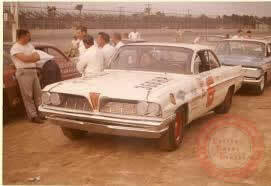 Pontiac model courtesty of Diz Dean. 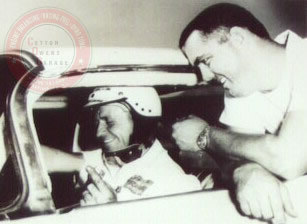 During the running of the 1960 Southern 500 at Darlington, Bobby Johns and Roy Tyner made contact on the backstretch. 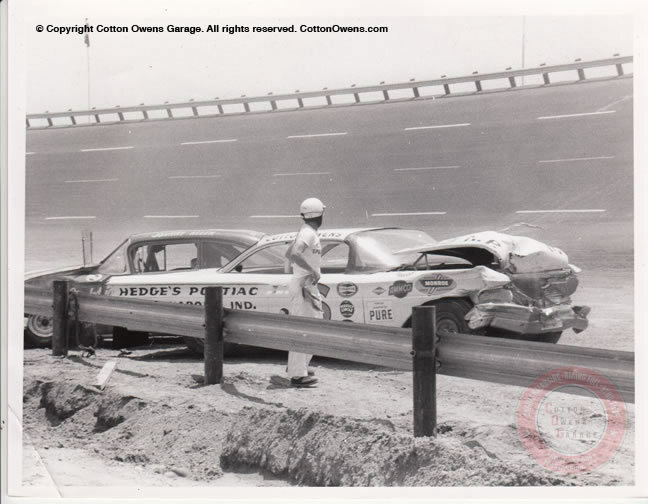 Johns in the #5 Cotton Owens Pontiac slammed into the pit wall. 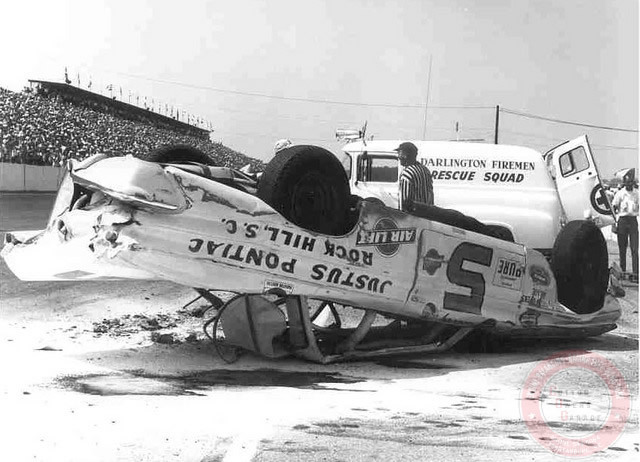 John’s was fine, but unfortunately three pit members were fatally injured. 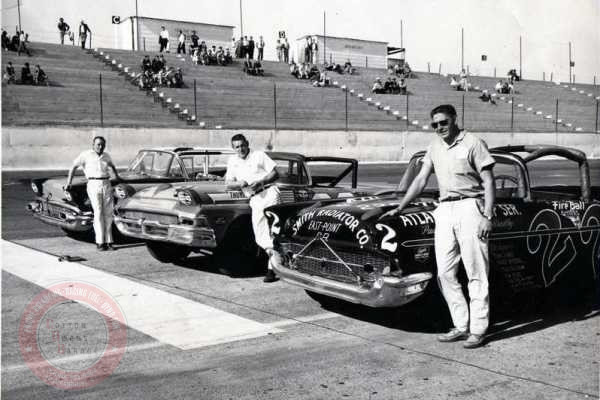 They were Paul McDuffie, Charles Sweatlund, and Joe Taylor. 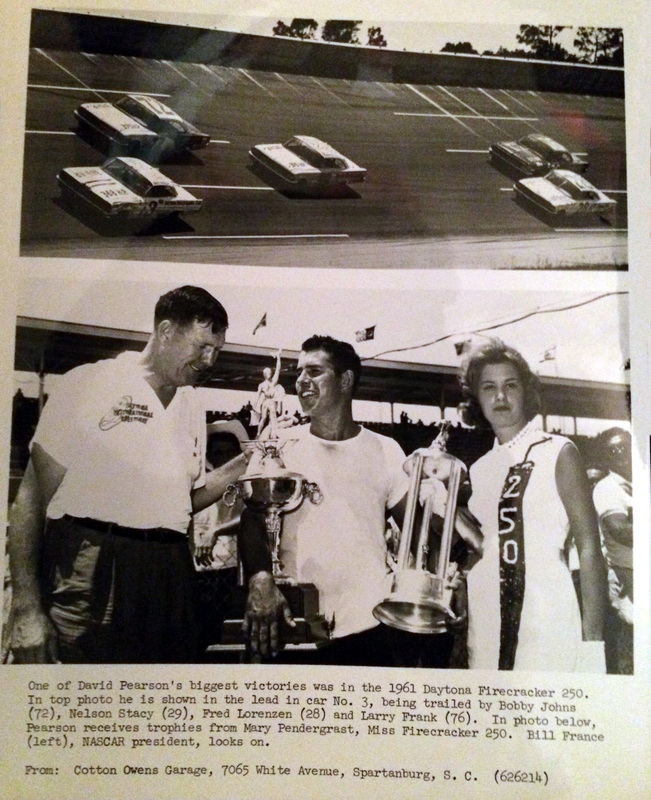 This photo is from the Marty Little collection. 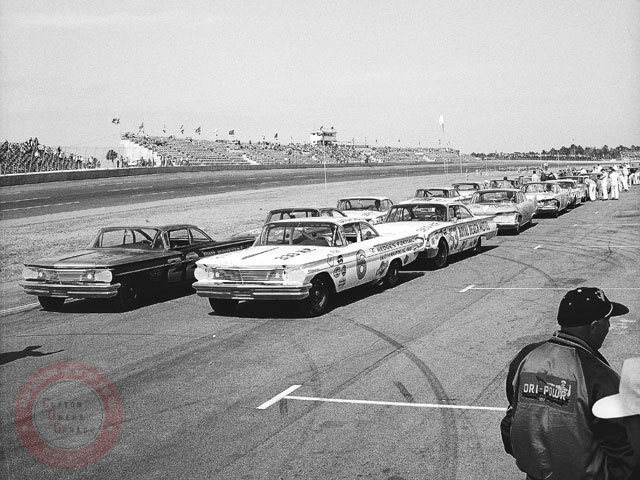 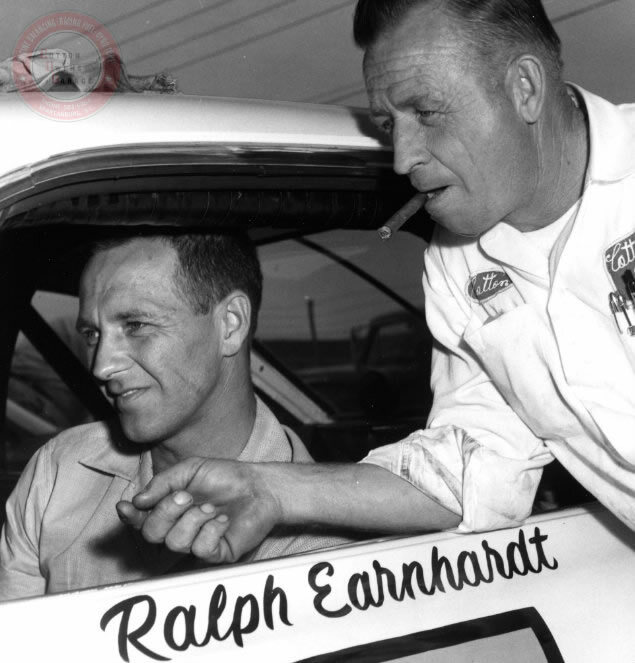 Ralph Earnhardt would make his NASCAR Grand National debut driving for Cotton Owens Garage in the Rebel 300 at Darlington, South Carolina, on May 6, 1961. 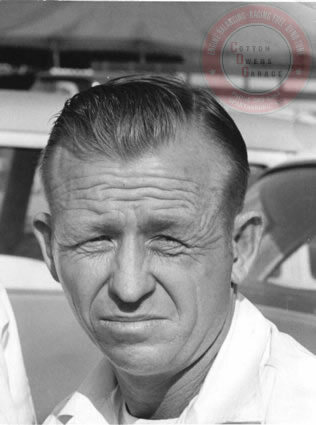 Earnhardt would go on to make 7 starts for Owens in 1961, earning 2 Top Fives and 5 Top Ten finishes.